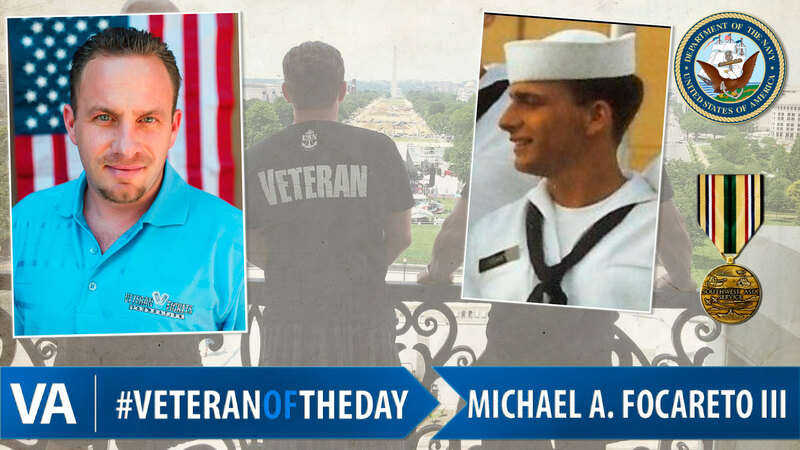 Today’s #VeteranOfTheDay is Michael A. Focareto III. Michael served in the Navy from 1988 to 1992. He was a Naval Nuclear Engineer and served aboard the USS Virginia. He was injured aboard the ship and was medically discharged. He is from a military family. Both of his grandfathers saw action during World War II. Also during WWII, his grandmother helped make tanks at Cleveland Tank. His father, uncles, and cousins also served. Michael has received a bachelor’s and master’s from Arizona State University. He founded an organization called VetTix, which provides tickets to events that reduce stress, strengthen family bonds, build life-long memories and encourage service members and Veterans to stay engaged with local communities and American life. The idea for VetTix was conceived at the Super Bowl 10 years ago, when Michael realized unused seats could have gone to deserving service members and Veterans.